The weather forecast for the afternoon wasn’t so good and a morning walk therefore became the preferred option. At the end of our mooring is the start of the Regents Canal. 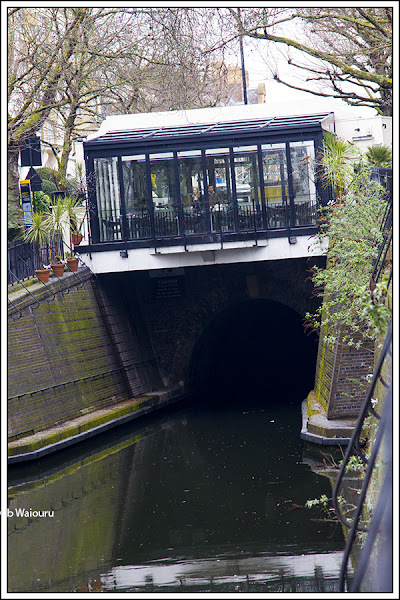 The stretch between Little Venice and Maida Vale Tunnel is residential moorings on both sides. I wonder how much the mooring fee is for a position this close to the centre of London? A coffee shop has been built above the tunnel portal. An attractive location I would think! Edgware Road crosses the tunnel here and I vaguely remember it from my time living in outer London when my parents lived here in the late 50’s. It was a main arterial road. 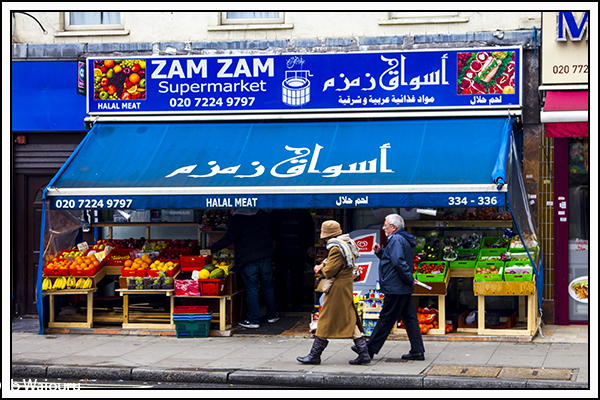 Today Edgware Road is lined with Middle Eastern and Indian shops from the tunnel to Marble Arch. Not how I remember it! By the time the end of Edgware Road is reached the area is wall to wall tourists. 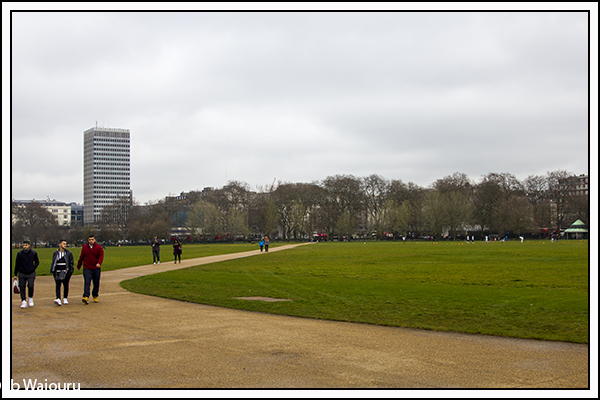 Marble Arch is located at the end on a corner of Hyde Park. 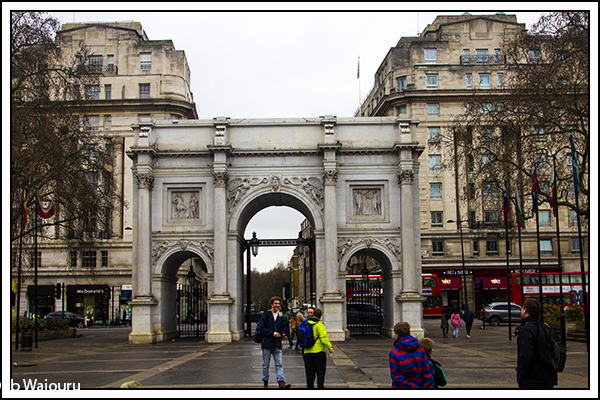 The interesting part of the history of the arch is it was originally located in front of Buckingham Palace. However it was relocated to its current location in 1851. When Park Lane was widened it was left even more isolated on a large traffic island. 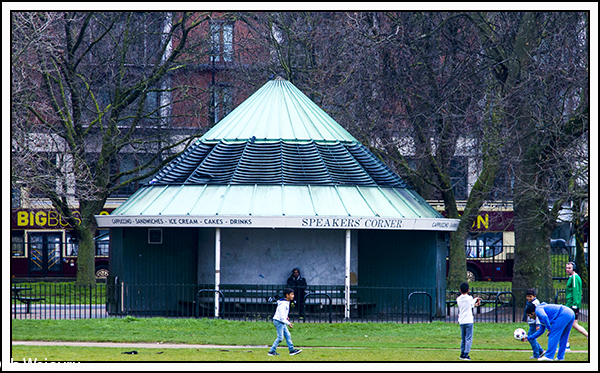 Almost directly opposite on Hyde Park is Speakers Corner. I’m not going to paraphrase Wikipedia’s description of Speakers Corner. 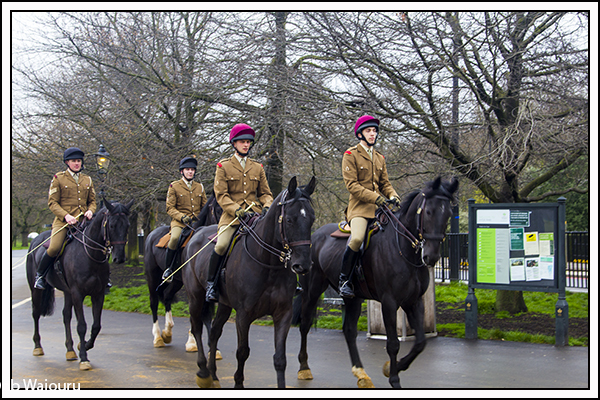 Hyde Park has multiple uses and one of them is obviously the exercising of horses. The park contains Rotten Row. I’d always assumed the name Rotten Row came from the stuff that fell out the back end of the horses. But apparently I’m wrong! I suspect the riders below are from the Household Cavalry. 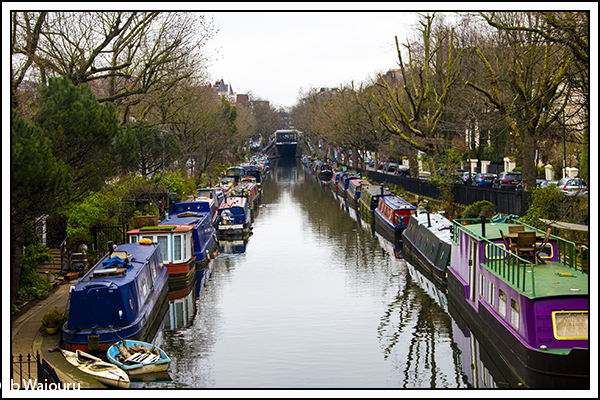 We have sufficient time in Little Venice to go back for a more extensive walk around the park. In 1980s we lived in Great Brickhill, just up the hill from Soulbury Three Locks. The road was also called Rotten Row. We understood it had something to do with Riding.